Over the past three years, the world has witnessed a surge of nonviolent resistance movements. Pictures of huge demonstrations in public squares have become a staple of international news broadcasts, and Time named “the protester” as its Person of the Year for 2011. These days, it seems that at any given moment, thousands of people are mobilizing for change somewhere in the world. But these movements have varied widely in terms of their duration, their success, their ability to remain nonviolent, and their cost in terms of human life. Building on years of intermittent protests and strikes, Tunisians toppled Zine el-Abidine Ben Ali, the dictator who had ruled their country for 23 years, after a sustained period of 28 days of protests beginning in December 2010. Between 300 and 320 Tunisians civilians died in the upheaval, all of them killed by police or security forces. Weeks later, Egyptians ended Hosni Mubarak’s three-decade reign after a decade of lower-level opposition and civil resistance culminated in 18 days of nonviolent mass demonstrations — but Mubarak’s security forces killed around 900 people in the process. In Libya, scattered protests against Muammar al-Qaddafi that began in February 2011 quickly became an armed rebellion. NATO soon intervened militarily, and within nine months, Qaddafi was dead and his regime demolished, but between 10,000 and 30,000 Libyans, according to various estimates, had lost their lives. In Syria, Bashar al-Assad brutally cracked down on mostly nonviolent demonstrations against his rule between March and August 2011, killing thousands and setting in motion a civil war that has since resulted in over 150,000 deaths and the displacement of around nine million people. Most recently, in February, Ukrainians ousted President Viktor Yanukovych after three months of mass civil resistance and occasionally violent protests. Around 100 Ukrainian protesters died during the clashes between demonstrators and riot police — fewer than in most of the confrontations of the Arab Spring in 2011. But Russia’s response to Yanukovych’s overthrow — seizing the Ukrainian territory of Crimea and attempting to destabilize the eastern parts of Ukraine — has created the most dangerous and unpredictable security situation Europe has seen in decades. The basic trajectory of these recent movements — each successive one seemingly more violent and more geopolitically charged — has encouraged skepticism about the prospects for civil resistance in the twenty-first century. Such doubts are understandable but misplaced. A longer view is required to see the real potential of nonviolent resistance, which is evident in a historical data set that we assembled of 323 campaigns that spanned the twentieth century — from Mahatma Gandhi’s Indian independence movement against British colonialism, which began in earnest in 1919, to the protests that removed Thai Prime Minister Thaksin Shinawatra from power in 2006. This global data set covers all known nonviolent and violent campaigns (each featuring at least 1,000 observed participants) for self-determination, the removal of an incumbent leader, or the expulsion of a foreign military occupation from 1900 to 2006. The data set was assembled using thousands of source materials on protest and civil disobedience, expert reports and surveys, and existing records on violent insurgencies. Between 1900 and 2006, campaigns of nonviolent resistance against authoritarian regimes were twice as likely to succeed as violent movements. Nonviolent resistance also increased the chances that the overthrow of a dictatorship would lead to peace and democratic rule. This was true even in highly authoritarian and repressive countries, where one might expect nonviolent resistance to fail. Contrary to conventional wisdom, no social, economic, or political structures have systematically prevented nonviolent campaigns from emerging or succeeding. From strikes and protests to sit-ins and boycotts, civil resistance remains the best strategy for social and political change in the face of oppression. Movements that opt for violence often unleash terrible destruction and bloodshed, in both the short and the long term, usually without realizing the goals they set out to achieve. Even though tumult and fear persist today from Cairo to Kiev, there are still many reasons to be cautiously optimistic about the promise of civil resistance in the years to come. Nonviolent campaigns against authoritarian regimes are twice as likely to succeed as violent ones. In the United States and Europe, policymakers often seem at a loss when confronted with the questions of whether to support civilians resisting authoritarian regimes using nonviolent protest and, if so, what form that support should take. Liberal interventionists cited a “responsibility to protect” civilians to justify NATO’s intervention in Libya and have also invoked that argument in advocating for similar action in Syria. But the promise of civil resistance suggests an alternative: a “responsibility to assist” nonviolent activists and civic groups well before confrontations between civilians and authoritarian regimes devolve into violent conflicts. Civil resistance does not succeed because it melts the hearts of dictators and secret police. It succeeds because it is more likely than armed struggle to attract a larger and more diverse base of participants and impose unsustainable costs on a regime. No single civil resistance campaign is the same, but the ones that work all have three things in common: they enjoy mass participation, they produce regime defections, and they employ flexible tactics. Historically, the larger and more diverse the campaign, the more likely it was to succeed. Large campaigns have a greater chance of seriously disrupting the status quo, raising the costs of government repression, and provoking defections among a regime’s pillars of support. When large numbers of people engage in acts of civil disobedience and disruption, shifting between concentrated methods such as protests and dispersed methods such as consumer boycotts and strikes, even the most brutal opponent has difficulty cracking down and sustaining the repression indefinitely. Mohammad Reza Pahlavi, Iran’s last shah, had little difficulty neutralizing the Islamist and Marxist-inspired guerilla groups that challenged his rule in the 1960s and early 1970s. But when large numbers of oil workers, bazaar merchants, and students engaged in acts of collective nonviolent resistance, including work stoppages, boycotts, and protests, the regime’s repressive apparatus became overstretched and the economy tanked. From there, it didn’t take long for the shah to flee the country. Broad-based support for a resistance movement can also weaken the loyalty of economic elites, religious authorities, and members of the state media who support the regime. When such figures defect to the opposition, they can sometimes force the regime to surrender to the opposition’s demands, which is what happened with the Philippines’ People Power movement of 1983–86. Broad movements also enjoy a tactical advantage: diverse, nonviolent campaigns that include women, professionals, religious figures, and civil servants — as opposed to violent ones comprised of mostly young, able-bodied men trained to become militants — reduce the risk of violent crackdowns, since security forces are often reluctant to use violence against crowds that might include their neighbors or relatives. And even when governments have chosen to violently repress resistance movements, in all the cases under review, nonviolent campaigns still succeeded in achieving their goals almost half the time, whereas only 20 percent of violent movements achieved their goals, because the vast majority were unable to produce the mass support or defections necessary to win. In cases in which the security forces remain loyal to the regime, defections among economic elites can play a critical role. In South Africa, boycotts against white businesses and international divestments from South African businesses were decisive in ending the apartheid regime. But civil resistance requires more than just mass participation and defections; it also requires planning and coordinated tactics. Successful nonviolent campaigns are rarely spontaneous, and the seemingly rapid collapse of the Ben Ali and Mubarak regimes shouldn’t fool observers: both revolutions were rooted in labor and opposition movements going back nearly a decade. Indeed, between 1900 and 2006, the average nonviolent campaign lasted close to three years. As Robert Helvey, a retired U.S. Army colonel who organized civil resistance workshops in Myanmar (also called Burma), the Palestinian territories, and Serbia in the 1990s and the early years of this century, told activists during his workshops: if they wanted their campaign to succeed in one year, they should plan as if the struggle would last for two. During the 1980s in the United States, Helvey worked closely with the scholar Gene Sharp, who has identified 198 different tactics that nonviolent resistance movements employ. These include various methods of protest, persuasion, noncooperation, and what Sharp calls “nonviolent intervention” — all of which have worked in various contexts. Tech-savvy scholars, such as Patrick Meier and Mary Joyce, have updated Sharp’s list to include tactics linked to new technologies, such as using social media to report repressive actions in real time and even using small drones to monitor police movements. Even campaigns that possess the holy trinity of features — mass participation, regime defections, and flexible tactics — don’t always succeed. Much depends on whether state authorities can outmaneuver the protesters and sow division in their ranks, perhaps even provoking nonviolent resisters to abandon their protests and strikes, lose their discipline and unity, and take up arms in response to repression. But even when nonviolent campaigns fail, all is not lost: from 1900 to 2006, countries that experienced failed nonviolent movements were still about four times as likely to ultimately transition to democracy as countries where resistance movements resorted to violence at the outset. Nonviolent civic mobilization relies on flexibility and coalition building — the very things that are needed for democratization. Of course, nonviolent revolutionaries are not necessarily equipped to govern during a political transition. In Egypt, for example, the young secular activists who filled Tahrir Square in January and February of 2011 have failed to organize effective political parties or interest groups. Nonviolent mass uprisings cannot always resolve systemic governance problems, such as co-opted institutions, entrenched corruption, and a lack of power sharing between a regime’s military or security forces and the civilian bureaucracy. But revolutionary campaigns can still maximize their chances of achieving more representative government — of bringing the successes of the street into the halls of power — if they develop so-called parallel institutions during the course of their struggles. Poland offers one of the best examples. 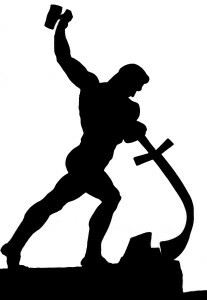 In 1980, after some 16,000 workers launched a strike at the Gdansk shipyard, Polish labor groups, which had already been fomenting resistance to the Soviet-backed communist regime in Poland for a decade, formed Solidarity, a trade union that morphed into a civil resistance movement and gradually eroded the communist authority’s grip on the country. Solidarity published underground dissident newspapers, organized demonstrations and radical theater performances in churches, and resisted years of repression, including the imposition of martial law in 1981. Eventually, ten million Poles joined the group, which operated as a kind of shadow government, facilitating its ability to step into a leadership role as communism crumbled. In 1988, Solidarity organized a series of strikes that led to direct negotiations with the regime, which resulted in semi-free elections in 1989. When Poland emerged from communist rule a year later, it did so with a new set of electoral rules and practices, many of them shepherded by Solidarity through a series of negotiations, which allowed for a much more durable and confident turn toward democracy. Although problems remained, Polish civil society was fully capable of holding its new leaders to account — including Solidarity’s Lech Walesa, who was elected president in 1990. Rather than illustrate the limits of nonviolent resistance, Syria shows how devastating the choice of violence can be. At first glance, recent events such as the struggle to consolidate democratic gains in Tunisia, the counterrevolution in Egypt, the chaotic state of affairs in post-Qaddafi Libya, the seemingly intractable civil war in Syria, and the instability of Ukraine in the wake of the revolution in Kiev appear to provide little evidence for the promise of nonviolent resistance. But a closer look at these five cases actually reinforces why people power is still the most effective method of political change, even in highly repressive countries. Despite setbacks last year, including the assassinations of two prominent liberal politicians by Islamist militants, Tunisia still looks like the bright spot among all the countries shaken up by the Arab Spring. Indeed, Tunisia’s revolution most closely resembles earlier examples where civil resistance succeeded, such as the Philippines and Poland. The country stands a good chance of completing a full transition to democracy within the next five years. This positive trajectory is in large part a product of how Tunisians organized against Ben Ali. Massive numbers of Tunisians participated in a sustained series of public protests, and the demonstrations included a diverse set of citizens: women helped lead them, and members of labor unions marched alongside lawyers, professors, and students. When it came to tactics, the protesters mostly improvised, but they also relied on a wide range of techniques, alternating between demonstrations and crippling national strikes organized by labor unions. The regime’s repressive countermeasures, such as lethal security crackdowns, backfired, drawing more people into the streets and encouraging defections from the military and among regime loyalists. After the Islamist party Ennahda swept the first post–Ben Ali elections, in 2011, power struggles between the Islamists and their secular rivals, amid flare-ups of protests and political violence, eventually yielded to compromise and a power-sharing deal late last year. The country’s trade unions, notably, played a key role in brokering that deal. Egypt’s telegenic uprising, like Tunisia’s, illustrated the potential of nonviolent resistance. Protesters employed a wide range of tactics, from occupying major public squares to organizing large labor strikes. Activists found allies in the Egyptian army, which refused to open fire on the crowds and abandoned Mubarak, leading to a victory for civil resistance in 2011. But it soon became clear that the popular refrain “The army and the people are one hand” was a hollow slogan: the Egyptian military (unlike its Tunisian counterpart) intended to hold on to power at all costs. Last year, after the army toppled the democratically elected president, Mohamed Morsi, the military-backed government turned on the same activists who had organized the first protests against Mubarak in Tahrir Square, throwing many of them in jail. With the military’s power firmly intact — and its former chief, Field Marshal Abdel Fattah el-Sisi, expected to win a presidential election in late May — Egypt provides ample proof that a successful nonviolent campaign that manages to oust an authoritarian ruler cannot necessarily guarantee greater freedom and stability in the period that follows. Nevertheless, had the Tahrir Square protests turned violent, the situation in Egypt might well have been far worse than it is today. Armed uprisings tend to reinforce the power of the military even more quickly, discouraging defections. Moreover, they tend to initiate mass atrocities against civilians on a scale much larger than nonviolent action does. Armed revolts rarely succeed, and when they do, they almost never bring about greater stability. When thousands of Ukrainians mobilized in late 2013, calling for Yanukovych to resign, it appeared to be a vindication for the promise of popular nonviolent resistance. Although most of the international media focused on Kiev as the hub of the protests, people actually rose up in many cities and towns across the country. As in Tunisia and Egypt, the resistance made use of a variety of tactics. People boycotted consumer goods from businesses linked to Yanukovych; in Kiev, a mass car pool ensured that protesters could move in and out of the city’s main square. The demonstrators also exhibited a high degree of commitment to the cause: in one instance, civilians lay down across railroad tracks outside the city of Dnipropetrovsk to prevent a train carrying 500 elite riot police from entering Kiev. The movement was diverse, including men and women from different political groupings, classes, and ages. Its inclusiveness encouraged regime officials and security forces to switch sides in cities and throughout the countryside. Of course, soon after Yanukovych fled Ukraine, in late February, the victory of civil resistance was undermined by geopolitics, as Russia reacted to the pro-European momentum in Kiev by seizing Crimea and fomenting instability in eastern Ukraine. But none of that changes the fact that it was mostly nonviolent popular protests, and not armed revolution, that brought down Yanukovych. Libya does not fit neatly into this group of countries in which nonviolent resistance led to political change; after all, Qaddafi was toppled by an armed movement with NATO support. But Libya is revealing because it demonstrates the pitfalls of ignoring the strategic possibilities of civil resistance. Libya never saw a coordinated civil resistance campaign; instead, the revolutionaries and regime defectors turned from disorganized mass protests, such as those that rocked Benghazi in February 2011, to violence in the uprising’s first days, killing security forces, torching police stations and security offices across the country, and mobilizing an armed rebellion. Despite their early tactical victories, moreover, the rebel forces were badly outnumbered by Qaddafi loyalists and might have suffered a catastrophic loss without NATO’s help, making them wholly reliant on the international community for their victory. The death toll from the Libyan civil war, furthermore, was far higher than those in Tunisia, Egypt, and other cases in which activists relied on nonviolent means alone. After all, it was the armed revolt that provoked Qaddafi’s famed speech in late February 2011, in which he promised to go “door to door” and “capture the rats” who had betrayed him. And Libya today looks ominously like past cases in which armed rebel groups have toppled authoritarian regimes: dozens of militias roam free, and the feeble central government teeters on the brink of collapse. Relatively free elections in 2011 have not ushered in effective governing institutions. In the end, violent resistance succeeded against Qaddafi — but it came at a high price. Although it is impossible to know whether nonviolent action could have succeeded, the spontaneous protests of February 2011 that provoked mass defections from Qaddafi’s security forces after just two days indicate that it may not have been fruitless to try. Although more organized than Libya’s, Syria’s initially nonviolent resistance struggled owing to a lack of sufficient participation and a coherent plan. Activists failed to coordinate protests across the country in a way that could have mitigated government repression and inspired more defections among both the security forces and economic elites. Most of the opposition’s early tactics against the Assad regime were isolated and improvised: sporadic protests after Friday prayers at a mosque or flash mobs in popular markets. Decades of living under a brutal police state, where neighbors spied on neighbors at the behest of one of the many security branches, discouraged trust among the protesters and undermined collective action. Yet during the nonviolent phase of the uprising, some members of the Syrian security forces still defected to the opposition, and the movement featured moderate levels of domestic support. But taking up arms against the Assad regime’s inevitable brutality destroyed any chance of maintaining the open support for the Syrian opposition on the part of significant numbers of Alawites, Christians, and Druze — minorities who were represented among the nonviolent movement and were crucial to any inclusive, successful civil resistance. The subsequent civil war has alienated many former participants in and supporters of the revolution, and in many ways, it has fortified the regime. And the costs have been enormous. From March to September 2011, when the uprising was mostly nonviolent, the Assad regime killed an estimated 1,000 people a month and reportedly arrested thousands more. But the ensuing civil war has claimed around 5,000 lives a month, and one-third of the Syrian population are now refugees. If the Syrian case follows historical precedent, the rebels’ future looks gloomy. Even with support from outside states, violent campaigns from 1900 to 2006 had less than a 30 percent chance of succeeding. The successes include dubious cases, such as the Khmer Rouge in Cambodia in 1975 and the mujahideen of Afghanistan in the 1980s. The failures include the Shiite uprising against Saddam Hussein in Iraq in the early 1990s, after the Gulf War. And as bad as the situation in Syria is, it could get worse. Since 1900, the average civil war has lasted over nine years. Even if the rebels win in the end, their victory will likely not satisfy the opposition’s original hope for more freedom. Less than four percent of rebel victories in armed resistance struggles from 1900 to 2006 ushered in democracy within five years; nearly half relapsed into civil war within ten years. The odds were probably against any opposition campaign in Syria, nonviolent or violent, given the brutality of the regime. But as counterintuitive as it might seem, civil resistance was working in Syria and would have had a greater chance of success than armed struggle. Indeed, rather than illustrate the limits of nonviolent resistance, Syria’s path shows how devastating the choice of violence can be. It has played to Assad’s strengths while making the opposition wholly reliant on external armed intervention. Although entirely understandable given the scale of repression, engaging Assad on his own violent terms has had tragic — yet predictable — consequences. Comparing these cases brings out a few key points. First, nonviolent campaigns attracted far more diverse participation than armed ones, which increased the chances of defections among security forces and other regime elites. There is, in fact, safety in numbers, especially when protesters represent a cross section of society. Second, the nonviolent campaigns that succeeded used a variety of tactics. In Syria, on the other hand, nonviolent activists tended to rely solely on demonstrations and occupations, which are among the riskiest methods of civil resistance. Attempted strikes, boycotts, and other forms of mass noncooperation were weak, localized, and lacked support. Third, although the protests of the Arab Spring inspired one another and were united by a similar, iconic slogan that was first chanted in Tunisia — “The people want the fall of the regime!” — they were hardly all the same. 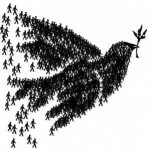 In fact, the different outcomes in each country underscore why nonviolent groups must resist the temptation to replicate a mass demonstration in another country without a broader strategy of their own, especially when that mass demonstration represents the endgame of a much longer nonviolent campaign. Fourth, in addition to killing more unarmed civilians and undermining participation, armed resistance makes rebel groups dangerously dependent on outside support. In both Libya and Syria, that total reliance made the rebels more vulnerable to accusations that they were agents of foreign enemies. Moreover, international support for armed groups is usually conditional and fickle, subjecting rebel groups to the whims of their sponsors (as Washington’s reluctance to follow through on its pledges of significant help for the Syrian rebels shows). During last year’s UN General Assembly meeting, U.S. President Barack Obama spoke to a roundtable about the essential role that civil society has played in nearly every major social and political transformation of the last half century, from the civil rights movement in the United States, to the fight against communism in Eastern Europe, to the antiapartheid struggle in South Africa. The right of peaceful assembly and association, Obama said, is “not a Western value; this is a universal right.” But the space for this right is shrinking in many parts of the world. Countries are passing laws to stifle civil society, restrict nongovernmental organizations’ access to foreign funding, crack down on communications technology, and, in more extreme cases, arrest and harass journalists and activists. Obama called on governments to embrace civil society groups as partners and, in a slightly edgier appeal, pressed governments and nongovernmental organizations to come up with more innovative and effective ways to support groups and activists fighting against injustice and oppression. But that raises the question of which forms of external assistance to nonviolent civic groups work and which ones don’t. The idea of “do no harm” remains an anchoring principle for how outside governments and institutions should promote democracy and aid civil society groups in other countries. International support to such movements can take many forms, such as monitoring trials of political prisoners, engaging in solidarity movements to support the right of peaceful assembly, providing alternative channels of news and information, targeting warnings to security officials who might be tempted to use lethal force against nonviolent protesters, and supporting general capacity building for civic groups and independent media. But local actors are in the best position to determine which type of support is appropriate and if it is worth the associated risks. Strengthening civil society is not only a precondition for sustained democratic development. It can also protect civilians from the worst excesses of violent repression. Although regimes may not refrain from using violence against peaceful protesters, history suggests that helping civic groups maintain nonviolent discipline — a practice that often requires coordination, preparation, and training — can ultimately minimize civilian casualties. In addition to staving off armed rebellion, sticking to civil resistance can insulate protesters from the most extreme forms of state violence by raising the costs of repression (although as Tunisia and Egypt proved, hundreds of protesters could still pay with their lives). Nonviolent movements are not as reliant on outside support as armed ones are, but the international community can help ensure that civil society groups maintain the space they need to exercise their basic rights of free speech and assembly while avoiding the temptation to turn to arms to pursue their goals. Policymakers should prioritize a “responsibility to assist” nonviolent activists and civic groups, rather than only seeking to protect civilians through military force, as in NATO’s Libya intervention. Of course, civil resistance campaigns are and must remain homegrown movements. But in recent years, the international community has done much to undermine civil resistance by quickly and enthusiastically supporting armed actors when they arrive on the scene. Syria’s tragedy is a case in point. Although regime repression, supported by Iran and Russia, undoubtedly helped turn a principally nonviolent uprising into a civil war, external actors could have done more to aid civil resistance and prolong the original nonviolent uprising. They could have helped encourage, coordinate, and exploit for political gain regime defections (including from key Alawite elites); demanded that Assad allow foreign journalists to remain in the country; accelerated direct financial support to grass-roots nonviolent networks and local councils; and provided more information to Syrian activists about what it takes to remain nonviolent under highly repressive conditions. Instead, the international community provided political recognition and sanctuary to armed actors, supplied both nonlethal and lethal aid to them, and helped militarize the conflict, undermining the momentum of the nonviolent movement. There was no silver bullet for effectively aiding the nonviolent Syrian opposition. But speed and coordination on the part of external actors, particularly early on in the revolution, were lacking. Syria highlights the moral and strategic imperative of developing more flexible, nimble ways to support nonviolent resistance movements. The local champions of people power will continue to chart their own future. But outside actors have an important role to play in assuring that civil resistance has a fighting chance. Printed first in the July, August 2014 Issue of Foreign Affairs, published by the Council on Foreign Relations, and reprinted by permission of Writing for Peace Adviser Erica Chenoweth. 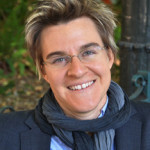 Erica Chenoweth, Ph.D. is an Associate Professor at the Josef Korbel School of International Studies at the University of Denver and an Associate Senior Researcher at the Peace Research Institute of Oslo (PRIO). An internationally recognized authority on political violence and its alternatives, Foreign Policy magazine ranked her among the Top 100 Global Thinkers in 2013 for her efforts to promote the empirical study of civil resistance. 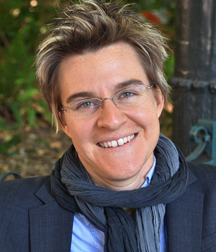 Chenoweth received the 2014 Karl Deutsch Award, which the International Studies Association gives annually to the scholar under the age of 40 who has made the greatest impact on the field of international politics or peace research. Learn more about Chenoweth and her work here. DoveTales, An International Journal of the Arts “Contrast” edition is set to release on July 30th. With the change in printer, our primary concern was to maintain the quality our young writers and contributors have rightly come to expect. With that in mind, the book will be published by McNaughton & Gunn, Inc., a printer recommended by Writing for Peace Adviser Richard Krawiec. Watch the website for contributor information and new art reflecting the book’s beautiful black and white photography by our Artist-in-Residence, Paula Dawn Lietz. This entry was posted in Advisory Panel Contributors, Chenoweth, Nonviolent Resistance and tagged Advisors, Chenoweth, Dr. Erica Chenoweth, Nonviolent Resistance. Bookmark the permalink.